With our unique selection and placement process, we believe in maximum services and deliveries with negligible tolerance defaults, which help us in keeping our focus intact our Quality Services and Professionalism. Our core competency is Retained Search, Contingency Search, and Advertisement Search. 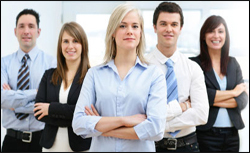 Search of professionals at Senior, Middle and Junior level across industry and functional areas. As well as our specialized and effective and executive search skills, this helps our clients to keep smiling even in this competitive environment. We spend enormous time and finances to enrich our Data Bank. We also maintain close relation with various placement executives of various Professional institutions and keep the data of the outstanding candidates. Copyright © 2006 Head Hunt All rights reserved.